The Chesapeake & Ohio Canal (C & O Canal) is a national historic park that has an interesting history dating back to the 18th century. It runs 184.5 miles along the north bank of the Potomac River, starting in Georgetown and ending in Cumberland, Maryland. The towpath along the C & O Canal offers some of the best places for outdoor recreation in the Washington DC area. The National Park Service offers canal boat rides and interpretative ranger programs during the spring, summer, and fall. 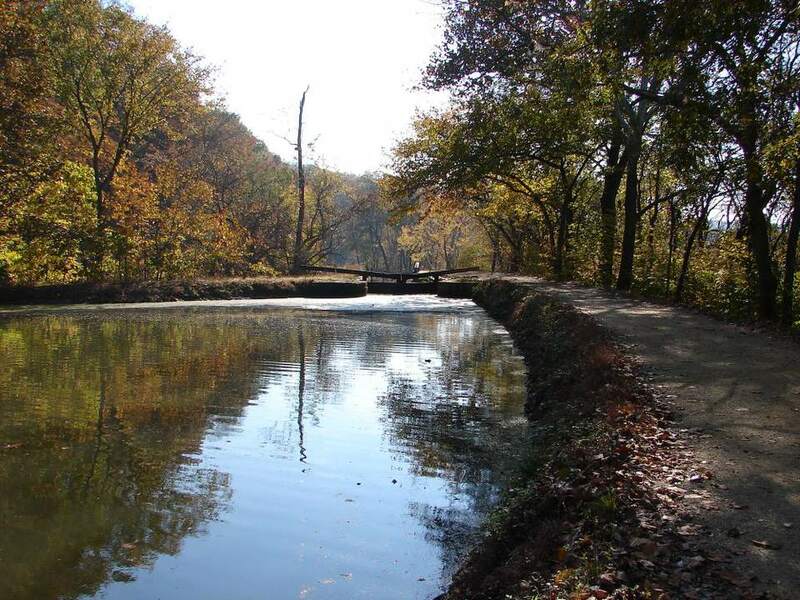 Hiking—One of the region’s best places to enjoy nature, the C & O Canal National Park offers great scenery and easy terrain on most of its hiking trails. For a more challenging hike, check out the Billy Goat Trail. Biking—The entire 184 miles of the Towpath between Georgetown and Cumberland, MD can be biked. The first 20 miles is the most heavily used. The Capital Crescent Trail provides a paved surface running parallel to the Towpath from Georgetown to Bethesda. Bike rentals are available on the trail at Fletchers Boat House (mile 3.1). Fishing—A fishing license is required for persons ages 16-65. Boating and Kayaking—Canoeing and kayaking are popular in the sections from Georgetown to Violettes Lock (mile 22). Canoes can be rented at Swains Lock and Fletchers Cove. Motorized boats are prohibited. Horseback Riding—Horses can be ridden on approximately 160 miles of the 184.5 miles of towpath. They are not allowed between Georgetown (mile 0) and Swains Lock (mile 16.6) or from Offutt Street (mile 181.8) to the Cumberland (mile 184.5). Trail riders are responsible for hauling manure away. Georgetown - 1057 Thomas Jefferson St., NW, Washington, DC (202) 653-5190. The visitor center is accessible from 30th Street. Great Falls Tavern - 11710 MacArthur Blvd, Potomac, MD (301) 767-3714. There is an entrance fee ($5 per vehicle, $3 per person when on foot or bicycle) to enter the park. Mule-drawn canal boat rides are offered during the warmer months of the year. The Visitor Center was built as a locktender’s house and today displays interactive exhibits about the history of the canal. Brunswick - 40 West Potomac Street Brunswick, MD (301) 834-7100. The Visitor Center features exhibits highlighting the transportation history of the area including the Brunswick Railroad. Williamsport - 205 W. Potomac St., Williamsport, MD (301) 582-0813. The Visitor Center is located in an old warehouse along the Cushwa's Basin. Hancock - 439 E. Main St., Hancock, MD (301) 678-5463. The historic Bowles House serves as the new Hancock visitor center and offers a variety of historic displays. Cumberland - Western Maryland Railway Station, Room 100, 13 Canal St., Cumberland, MD (301) 722-8226 – Interpretive exhibits on the transportation history of the area are housed in the historic 1913 Western Maryland Railway Station. During the 18th and 19th centuries, Georgetown and Alexandria were major ports for distribution of tobacco, grains, whiskey, furs, timber and other items. Cumberland, Maryland was a key producer of these items and the 184.5-mile stretch of the Potomac River was the main transportation route between Cumberland and the Chesapeake Bay. The waterfalls on the Potomac, especially the Great Falls and the Little Falls, made boat transportation impossible. To solve this problem, engineers created the C & O Canal, a system with locks that ran parallel to the river to provide a way to move goods down the river by boat. Construction of the C & O Canal began in 1828 and 74 locks were completed in 1850. The original plan was to extend the canal to the Ohio River, but that never happened because the success of the Baltimore & Ohio (B & O) Railroad eventually put the canal out of use. The canal operated from 1828 – 1924. Hundreds of original structures, including locks and lockhouses, still stand and remind us of the history of the canal. Since 1971 the canal has been a national park, providing a place to enjoy the outdoors and learn about the region’s history.